We are all familiar with nylon ropes, these ropes are commonly known as ski ropes and are used in many everyday applications. Nylon ropes stretch a great deal and so they store a great deal of energy when under load. In addition, nylon absorbs water and is 10–15% weaker when wet than when dry, these types of ropes are therefore unsuitable for a drilling application. There are other synthetic ropes however that are very suitable for drilling applications and in fact offer some significant advantages over steel ropes. Synthetic ropes are ropes manufactured by braiding together one or more different types of synthetic fibre. Synthetic fibres are “man-made” fibres such as, nylon, polyester,polypropyleneor high performance fibres such as high modulus polyethylene (HMPE). Synthetic ropes are manufactured in a number of different designs to suit different applications, for example, mining, construction, fishing, and as mooring ropes for ocean liners. 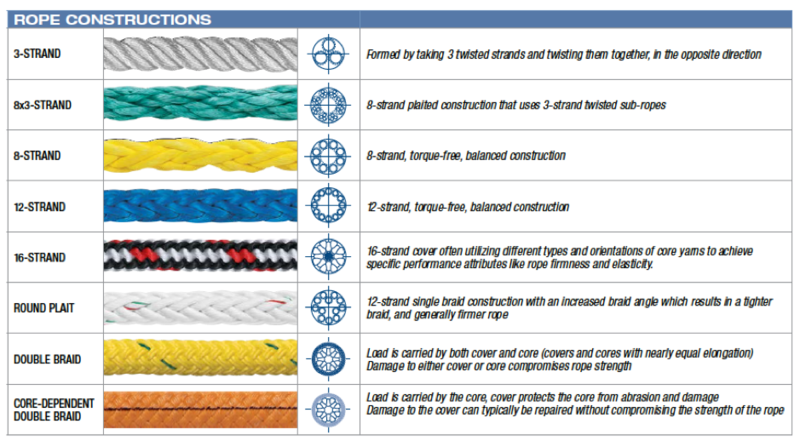 These ropes are called braided ropes and some of the designs are shown in the illustration below. A number of extreme high strength (high modulus) synthetic fibres are now available and a number of different synthetic ropes are available that incorporate these high strength fibres. One of these high modulus fibres is Dyneema, a super strong and lightweight man-made fibre that is many times stronger than steel and has very little stretch. Synthetic ropes manufactured from Dyneema are called High Molecular Weight Polyethylene (HMPE) ropes. Other high strength fibres are available but Dyneema has properties best suited to drilling applications. HMPE ropes offer some remarkable properties that make them very suitable for use as hoist ropes in drilling applications; they are stronger than a steel rope of the same size, they have very low stretch and so do not store energy when under a tensile load, they are much more flexible than steel ropes and they do not suffer fatigue and wear in the same way that steel ropes do. In addition, these ropes are very lightweight and they have a density less than one and so float on water. 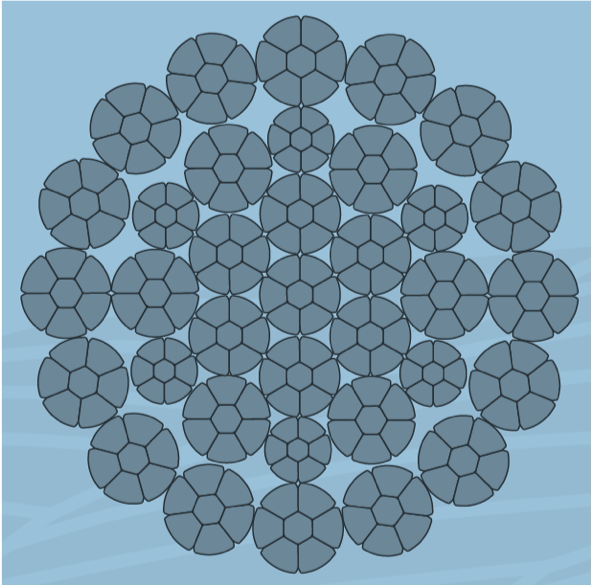 HMPE ropes are substantially stronger then steel ropes of the same diameter. The table below summarises the Mean Breaking Loads for a range of steel wire ropes used in the drilling industry and also the breaking strength of an equal size HMPE rope. Data for the two most common grades of steel rope are included. In 16mm size both high grade steel rope and the HMPE rope have similar strength characteristics and so there is little apparently little advantage in switching to the synthetic rope. As the rope size increases however, there is an increasing advantage when using the synthetic rope - a 22 mm HMPE rope is 26% stronger than the highest commonly available grade of steel rope and so it will significantly increase the hoisting capacity. It is important to recognise that in the table above, the percentage increase in MBL shown is based on the highest grade of steel wire rope, obviously, if a contractor uses a weaker grade of rope, the percentage increase in hoisting capacity will be dramatically greater. It seems therefore that a correctly selected synthetic rope will significantly increase the hoisting capacity and therefore depth capacity of drill rigs that trip the drillstring using a hoist and wire rope. By their very nature, steel wire ropes are subjected to cyclic stress reversals every time that they are spooled off of the hoist drum and every time that the rope runs through a sheave. We know also that the magnitude of the stress reversal depends upon the load that the rope is carrying and the PD ratio, this is the sheave wheel diameter divided by the rope diameter. If the PD ratio is very small, then the rate of fatigue will be high. Fatigue causes both internal and external wire breaks and this is one of the main reasons for discarding steel wire ropes. A second major problem with steel wire ropes is abrasive wear on the external wires. This occurs in two places – at the sheave wheel and on the hoist drum due to haphazard spooling of the rope. To minimise wear at the sheave wheel, it is necessary that the sheave wheel groove is sized for the diameter of rope in use. A drill rig that is designed to use a 16mm hoist rope will have a sheave wheel specifically grooved to accept a 16mm rope. This means that if a contractor wishes to change from a 16 to a 19 mm rope to increase pulling capacity, he will have to change the crown sheave to suit the larger diameter rope. If this is not done then very rapid abrasive wear will result. HMPE ropes are more infinitely more flexible that steel ropes and they do not fatigue as do steel ropes. They are able to tolerate a greater level of distortion through a sheave wheel than steel ropes can and so rates of abrasive wear on HMPE ropes will be substantially less than in steel ropes. Irregular, haphazard spooling of steel rope onto the hoist drum is a major source of abrasive wear and damage to ropes. Some hoist designs are better than others but on almost all drill rig hoists, steel ropes spool erratically. Because of their flexibility and design, HMPE ropes do not suffer the same degree of abrasive wear on the hoist drum that steel ropes do – in fact, it is recommended that synthetic ropes are spooled haphazardly. This is a major advantage of using synthetic ropes in a drilling application. From the above, it is clear that HMPE ropes potentially provide some very great advantages over steel wire ropes in drilling applications - greater strength on a size for size basis, better flexibility and better wear resistance. Other advantages are that HMPE ropes do not require lubrication, they are “non-spin”, they will not rust and they will not kink, or “bird’s nest” as wire ropes do. HMPE ropes however offer one further significant advantages over steel ropes. As an HMPE rope is used it will “bed in”, it will stretch slightly and the diameter of the rope will reduce slightly. The reduction in diameter is due only to the individual fibres “bedding down” it does not reduce the strength of the rope. The reduction in diameter will depend upon the design of the rope but it could be expected that a 24 mm rope, for example, would become a 22 mm rope as the rope is used. This offers a significant advantage for the contractor because it would be possible now to run a 24mm HMPE rope in a 22mm sheave wheel. The increase in hoisting capacity that this would offer is substantial. Assume that a drill rig is running a 22 mm steel rope of the highest quality, assuming a factor of safety of 6, the drill will have a legal lifting capacity of 5,4 MT (475 metres of HQ drill rod); if a 24 mm HMPE rope is run instead, then the legal lifting capacity of the drill increases to 8,2 MT (720 metres of HQ drill rod). This is a very significant difference and provides a strong argument to consider HMPE ropes. Chris made contact with DrillSafe and said he had been reading an article on the website and he decided to write a comment, which turned out be more of an article than a comment about safety. So, Chris shared his thoughts with us and we are delighted to share them with you! In a hazard alert posted in June last year, Colin explained that wrenches are hand tools and should only be used under “human” power. However, in my 25 years of experience as a safety officer I have come to realise that complacency and the human factor is to blame for many an accident. I have talked to many supervisors, operators and workers over the years and the answers are almost all the same “I know what I am doing” or “I have done it before, and nothing happened”. I have found that spending time with a crew and getting to know the people on a one-to-one basis is the best way for me, as a safety officer to get the message across. I start off by doing small talk with them about their families, I ask questions like are they married or single do they have children, etc. The more I visit the crew the more they realise that I am not the stereotypical safety officer, “the bully”, but someone who is interested in their well-being. When that happens and it will take time, I get to the point that the crew are starting to trust me and listen to what I have to say, now I am able to get through to them. A typical visit will go something like this, I will arrive on site and greet everyone, then I will chat about the weekend sport or some nondescript topic and after I have everyone’s attention and everyone is in a relaxed mode, I will start to explain the hazards that surround the workplace, the importance of doing the job according to the procedure, to stop doing a job that they are complacent in doing. They know that doing a job “quickly” or using a “short-cut” are like swear words to me that I abhor. Years ago, I learnt that if I wanted to succeed in my job, I must walk the talk in everything I do and I must practise what I preach, as I do not know who is watching me. I must never get tired of training, training, training to get the message across. I am content that in 25 years of being a safety officer I have never received a trophy or a gold medal. My reward comes at the end of each shift when I know my people are safe, uninjured and alive and are returning home to their loved ones and that is worth more than any trophy or a gold medal. Modern technology has allowed us to achieve things we were unable to do some years ago like Whatsapp groups. I say thanks to my crew daily for working safely - remember we are working with humans not machines! The Oxford English dictionary defines a standard operating procedure (SOP) as: “A series of actions conducted in a certain order or manner”. A document that describes the safest and most efficient way in which to carry out a complex routine or non-routine procedure. complex – we only use an SOP for complicated, multi-step procedures not for simple one or two step processes. It is very important to recognise the importance of the word “standard” in the term SOP – this means that the procedure is firm and fixed, it has been developed after a thorough investigation of the activity and therefore following the procedure to the letter is obligatory. How DO I know what tasks require an SOP? The requirement for an SOP to be developed will flow from the risk assessment process. The outcome of the risk assessment process, if done correctly, will be an identification of all hazardous tasks as well as ranking according to the tasks’ risk rating. From there, the Hierarchy of Controls is applied to eliminate, minimise or control the risk. If high level controls are not possible or practical then, an administrative control must be applied and this will involve the development of an SOP. An SOP could therefore be considered to be “an administrative tool designed to minimise or control risk”. Why are standard operating procedures necessary? What does an SOP look like? What are the steps in developing an SOP? I can hear many people muttering that all these standard operating procedures (SOPs) are just making more work for the already overworked contractors and they are not necessary – “our guys know what to do”. Maybe the guys do know what to do but I guarantee that there will be significant variability in the way that they carry out certain activities. Which of the two or three or four “methods” is the best? Which is the safest and most efficient? All of the methods cannot be the safest and most efficient so, it is necessary to drill deeply into the activity and decide on the best set of tasks to ensure that the activity is safely and efficiently completed. Notwithstanding the above, sometimes there is a legal requirement to develop procedures. Numerous pieces of statutory law make it mandatory to develop procedures to control certain risks. For example, the word “procedure” appears 113 times in the South African Mine Health and Safety Act, 16 times in the Botswana Mines, Quarries, Works and Machinery Regulations and 54 times in the Namibian Regulations relating to the Health and Safety of Employees at Work. In every case, the word is used to describe a requirement to for work to be done according to a well defined set of procedures. (d) in relevant emergency procedures. may help to reduce the contractor’s (and the mine’s) liability in the event of an accident. is perfect “teaching material”. They ensure consistency of the quality of training when training new staff. SOPs form the basis of a planned task observation (PTO) and so can also be used as an assessment tool. gives the contractor a tool to incrementally develop staff – some tasks are more difficult than others and so they can be used to plan the development of new staff. It is important to recognise that a complete set of well-developed SOPs is a primary indicator of the quality of the contractor’s safety management system. A contractor who has taken the time to properly develop SOPs is likely to have a good, rigorous safety management system, but one who has not, will definitely not have a good safety management system. The bottom line is that SOPs are a part of our life in the drilling industry and so, if we have to develop them, we may as well do it properly! the front end: which will include detail about the purpose of the SOP, applicable legislation etc. the body: which details the tasks, the hazards and the actual steps to be followed. A clear statement of the scope of the SOP – this will then clearly define the title or name of the SOP. A unique identification number for version control. A reference to all applicable legislation that stipulates why the SOP is necessary. A clear explanation of any definitions that are used in the body of the SOP. An explanation of any abbreviations that are used in the body of the SOP. A clear statement of what special tools and / or PPE are required in carrying out the procedure. The body of the SOP is the most important part and it will detail the steps to be taken, the hazards associated with each step and the safe work procedure to be followed so that the hazard does not cause harm. Step 1: The very first step is to clearly define the scope of the SOP, for example; “Tripping the drillstring using the main hoist on an Atlas Copco CS14 drill rig” or “Tripping the drillstring using the main hoist on a Sandvik DE710 drill rig”. We cannot have one SOP that is good for all drill rigs – this is a common mistake that is made – drill rigs differ and no matter how small the differences – each variant of drill rig must have their own SOP. If the contractor runs 12 drill rigs that are absolutely identical then the same SOP is acceptable for all 12 but if one has a modified hoist control system for example, then that drill rig must have a separate and identifiable SOP that relates to that drill rig. Obviously, much of the SOPs will be identical but the differences in the steps must be clear. Step 2: Add the rest of the “front end” detail. Have a look at our previous article on how an SOP is designed, to get an idea of the other front end details that should be included in your SOP. decide how to carry out the steps in the safest way, i.e. 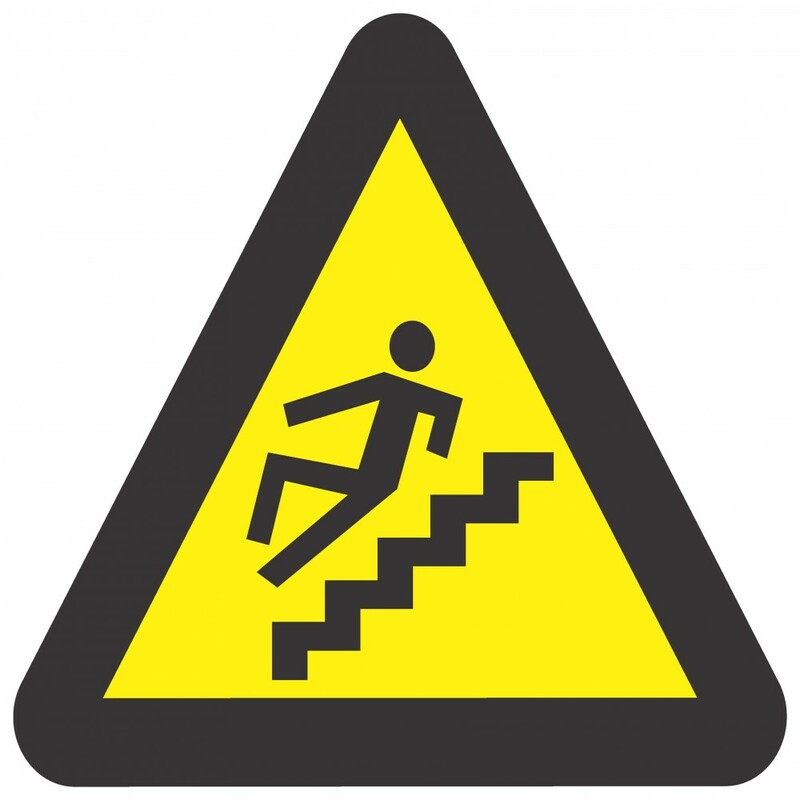 so that the hazards do not cause harm – sometimes this is called the safe work procedure. Get the right team together. It should be pretty clear now that, more than one person is required to properly develop an SOP – you need to gather a group of people who have intimate knowledge of the procedure and who have the ability to identify every step in the procedure and the hazards associated with each step. If you have the right team, you stand a good chance of developing a good SOP. Remember who the SOP is being written for. It is being written for a driller or a drill rig assistant / helper / offsider etc. It is not being written for the engineer or geologist or safety officer. You must therefore carefully consider language, ability to read, numeracy ability etc. Sometimes the use of pictures helps in understanding the steps and the hazards and so the use of pictures must be encouraged. It follows that an SOP written for an English speaking Australian will not be suitable for a Xhosa speaking South African! Do not reference other SOPs or legislation in the body of the SOP. This tends to cause confusion and will make the procedure very difficult to follow. Avoid adding attachments or forms to the SOP, again, this will complicate the procedure. Once an SOP has been developed, it must be revised and updated as new equipment or improved processes are implemented, an SOP is a living document and it must never be filed away and forgotten about. Read the next article in this series about the common mistakes with SOPs. Over many years of doing safety audits on drilling operations, I frequently come across the same mistakes on site - missing SOPs. The risk assessment tells us when we need to develop an SOP and if the risk assessment is poor then not all hazardous activities will be identified and so we will miss some SOPs. We all know that wireline cable sometimes snaps and in some cases, the loose end of the cable will come off the sheave (pulley) at the top of the mast. Before we can splice or join the two broken ends of the wireline cable it is necessary that the cable is respooled over the sheave. When I ask a driller or supervisor how they respool the cable most will immediately say that they lower the mast so that the sheave is at a lower height – they are forbidden to climb the mast and so the obvious answer must be that they will lower the mast. I then ask them how they do that when the drillstring is in the rod clamp and then they realise that they have talked themselves into a corner! Sometimes they will then explain that they partially back a drill rod connection off and then lower the rods into the borehole and then fully back the connection off – effectively they leave the drillstring in the open hole. The more they explain their procedure the more holes can be poked through it because they have never in fact done what they say they do! What really happens is that a member of the crew will climb up the mast and respool the cable. The crew will only do this when there is no danger of a safety officer being in the vicinity and so the principle of “ignorance is bliss” applies. My argument is this: we all know that the wireline cable sometimes snaps and that it is sometimes necessary to respool it so, let us recognise that this is a hazardous operation and let us develop a really good procedure that ensures that all hazards are identified and controlled. The point is that this “dangerous” procedure must be disclosed to the mining company it must not be hidden or ignored. Another example of a missing procedure that I frequently come across is “how to back-off an overtight joint”. Again, we all know that, for a number of reasons, a drill rod joint may become over-torqued while drilling and the only way that you can back-off a joint is to apply a greater torque in the opposite direction. If the rod clamp and chuck cannot do the job, then the only other way is to use a wrench (Stilson or a rod wrench) and in extreme cases we use a cheater bar to create a mechanical advantage. For many mining companies the use of wrenches is forbidden and so how is the contractor going to back off the joint? Again, the driller will wait until there are no safety people around and he will use a wrench and cheater bar to back the joint off. My argument is the same as in the previous example – we know that joints sometimes get over-torqued and we also know that there is only one way to back-off an over-torqued joint so let’s sit down and write a good, well structured procedure that addresses all of the risks involved. To me this indicates a mature attitude to drill site safety – if we know what the risk is – we can manage it. If we don’t know what the risk is, it will bite us!! SOPs are the most fundamental building block of a sound safety management system and they present primary evidence of the quality and maturity of a safety management system. I believe that poor quality or missing SOPs indicates that the quality of the risk assessment was poor and so the drill will be operating with unidentified risk. It indicates that senior management have done a less than perfect job in designing and maintaining their safety management system. It is important to recognise that it is a concern if an SOP is not in place but it may be infringement of the law if one is in place but it is not followed! Re-inductions at the start of the year are a critical part of your safety management system. This unfortunate accident illustrates what could go wrong if we ignore this. The legal requirement to ensure that people are separated from certain components is mentioned in the Mine Health and Safety Act Regulations. Have a look at the interpretation of these requirements. What should be guarded on a drill rig? Read about which components on a drilling operation should be adequately guarded. This article explores the characteristics and criteria that an effective guard should meet.